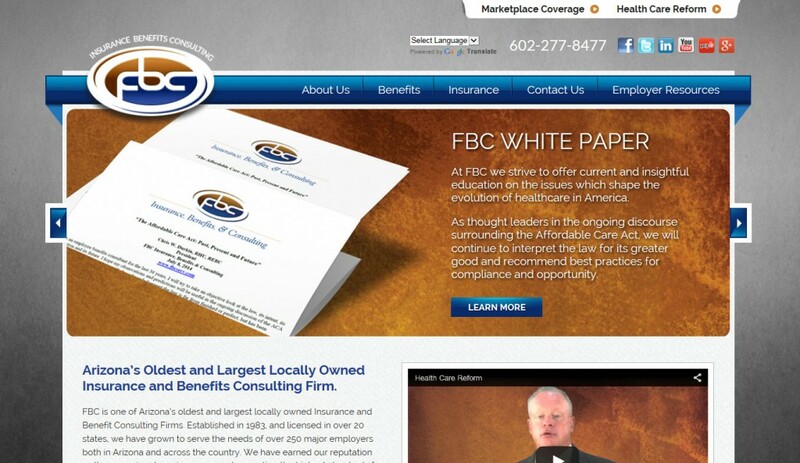 Here is our latest website redesign, just launched for FBC. The FBC website was recently launched with a special focus on engaging the user with integrated videos and quote engine functionality. We also included unique banner images and a bevy of employer and client resources. The site is easy to navigate, clean and concise, providing a one-stop resource for potential clients. Visit the new FBC site at http://www.fbcserv.com/.